Empathy. The art of putting yourself in someone else’s shoes. A crucial component of the human condition. In regards to someone you love and have similar opinions to it’s easy to have empathy. When it comes to someone you “hate” or triggers you, our immediate instinct is to defend or deflect (thank you sympathetic nervous system!). That reaction is meant to protect us, yet it also prevents us from learning a valuable life lesson. Being triggered has just as much to do with us as them, suggesting they’ve aggravated our self hurt. Hurt. It’s a strong word. About as strong as hate. And the two are interrelated. Is it hate or is it hurt? If we are able to remain calm and refrain from reacting we then have the ability to see beyond the hate, the anger, the frustration and see the hurt vulnerable soul that hides behind the cloak of emotion. People hurt because they are hurt. When we see beyond their defensiveness, we see their hurt, and we can evoke empathy for that individual. This is one of the first steps toward forgiveness and letting go. Another enlightened thought came to me after observing an epic tantrum from my 2yo nephew. The family was frustrated with his behaviour, but ultimately had compassion for his situation (and we discussed what triggered his tantrum as to develop his awareness of his emotions and reactions). Why did he have a tantrum? He was tired, didn’t have a snack, and wasn’t getting his way and just melted down. He lashed out, hitting and yelling, well screaming, “NO” and how he didn’t like us. Yet we remained untriggered because we knew he was just hurt and this was an expression of too much happening at once. With conditional love it’s easy to have empathy and see beyond the tantrum. It’s important to note that developing empathy in children is a necessity in their neurological and emotional evolution. Kids are naturally egocentric and need to practice and experience empathy towards others to develop compassion. With my nephew we discuss hypothetical situations and I ask him how the other person feels and why, or we role play with his toys different situations. You’d be amazed how quickly children understand and adapt with this type of learning. Imagine if the next time you had a fight with someone you were able to see them as their vulnerable unfiltered self – a visibly hurt and overwhelmed child tantruming outward because they are unable to process what is going on inside themselves. Would you have more empathy for them? Would you rather give them a hug than hit them with hard words of anger? The next confrontation you have look beyond the hate, the anger, and see the hurt and beauty in that person. Address the person with that insight and see how that diffuses the conflict. 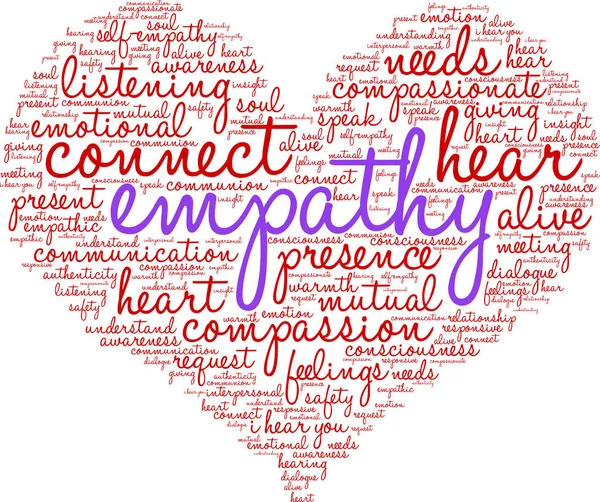 Empathy is our greatest gift, our greatest skill, but it needs to be practiced to grow and evolve. Be kind to humans and humankind will evolve in kind. I am a board certified and licensed Naturopathic Doctor working in Newmarket and Maple, Ontario I am an advocate of individualized and specialized medicine, about treating individuals as a whole, and evoking our own healing properties. To me, being happy is being healthy, and health flourishes with a positive mindset. This entry was posted in Theme of the month. Bookmark the permalink.